During the years of planning for this event, we have always hoped that some Bolens Employees would still be around Port and would reach out to join us. I am excited to say that has happened in a force we could not have imagined.It seems there are literally hundreds of proud Bolens People around Port and even more elsewhere. That group is busy planning for a Bolens Reunion type of an event that will coincide with the Diablo Rouge 50th Anniversary Celebration. In addition, the City of Port Washington, local businesses and others around the community are very excited to host such an event. With that, there is much planning on how to expand the “Welcome Mat” to Port. With all the excitement and support, we are announcing an expanded venue for the month/week/weekend. For starters, the banquet hall has now been reserved for the entire weekend (Friday through Sunday) and we will plan more activities. 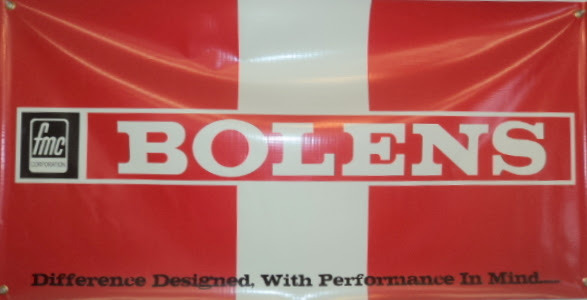 One of them that should excite most everyone is a Friday night gathering with a Bolens theme. Several key Bolens Employees are setting up a night of Bolens topics sure to be fun and informative for all. Imagine rubbing elbows with someone who has knowledge of the Hus Ski/Bolens marriage, may have put your Diablo Rouge together or worked to build those Sprint Snowmobiles at the factory back in the 1970’s! If you are a Bolens tractor enthusiast, you could meet that Bolens Employee that worked on those many old tractor models from the past! More to come on that. If you are a past Bolens employee, help us get the word out to everyone you know who might be interested in this event. A special “Thank You” to you all for your enthusiasm. Next month, we will be better prepared to discuss options for the expanded venue, so please stay tuned in. Banquet costs are still being determined, so thank you for being patient with that. With the additional opportunities to attend several events, we will consider discount options for attending multiple venues. To have room for what we expect is an expanded attendance, we have maxed out the block of reserved rooms at the Country Inn and Suites. If you plan to attend and are pulling a trailer, this hotel is your best option as it has plenty of room in the parking lot. In addition to the Country Inn, we are inquiring about additional room availability at other hotels in the area. If you are even just thinking of coming, but not sure yet, it costs nothing to reserve a room or tell me you plan to come to the banquets. So please do not put this off. Making hotel reservations at the Country Inn and Suites in Port Washington is simple. The hotel is offering rooms at significantly reduced rates (double occupancy rates of $79 for a standard room and $99 for a one bedroom parlor suite) . The banquets will be in the Lakeview Conference Center which is at the hotel. When making reservations by calling 1-262-284-2100, request your room be part of the Bolens Diablo Rouge 50th Anniversary block.If you book your rooms in June or tell me directly in June that you are coming to the Diablo Rouge Banquet, I will get you and your guests their allotted “8” Prize Tickets (see past Newsletters if you do not know what I am talking about regarding the Prize Tickets). If you are new to this Newsletter and want to get caught up on the previous Newsletters, go to the Newsletters Page on the website. If you know someone who wants to sign up for the Newsletters, they can do that from this page also. Our Sponsorship has been out of this world. Check out our sponsors at the Sponsor Page of the website.